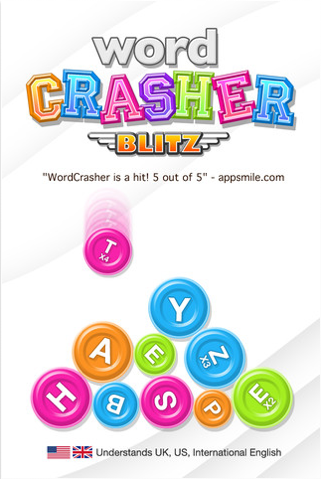 WordCrasher Blitz (Free) by Kevin Ng wants to know how many words can you make from falling letter tokens. 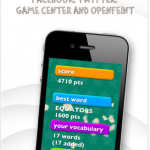 Form words and score points to advance your status level. 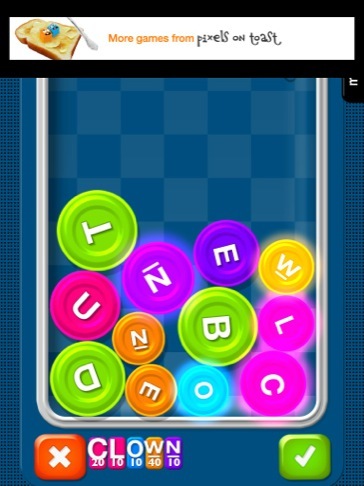 Touch the available letters to form a word. 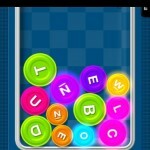 Each letter is worth a certain amount of points, which then gets added together upon making a word. That total then gets multiplied by the number of letters used. 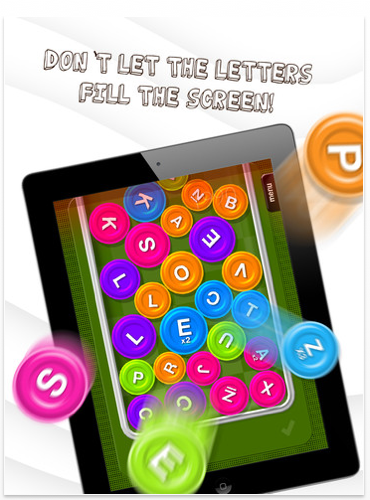 You'll also want to keep an eye out for letters that have bonuses on them for scoring even more points. 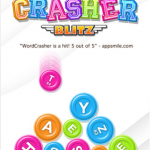 Those anxious to see more letters pile up can swipe down to pull them faster. What's nice is that the selected letters will appear at the bottom of the screen, and will animate once you form a valid word. Each new word you make gets added to your list, which then translates into achievements. 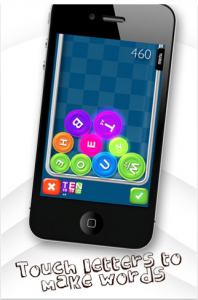 Game Center and OpenFeint are supported. 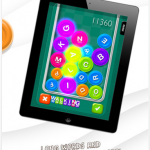 The different modes available are quick game (five rounds of play), marathon (multiple rounds until you fail), and flood panic (a water level rises, with the letters bobbing on the surface). Marathon is your typical game, but I found flood panic to be more entertaining. Even the user interface is fun. 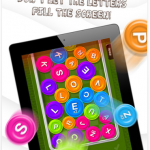 Each button resembles the letter tokens, and they will "swoop" in and out as they are being selected. However, the physics of the tokens doesn't feel as responsive as it should be. For example, tilting the iDevice only moves the top row of tokens, even though you would expect others to fall as well (especially if nothing's on top of them). The fact that they are different sizes doesn't seem to come into play, either, except for he space they fill. Also, you'll want to make sure you have your orientation lock engaged. The game can only play in portrait mode, so tilting too far will rotate it 180 degrees. 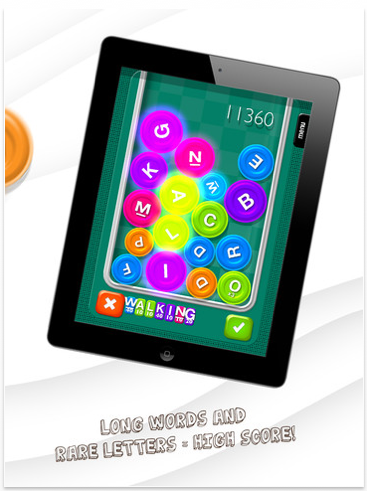 This is a cool game that the casual player or the serious word nerd will enjoy. 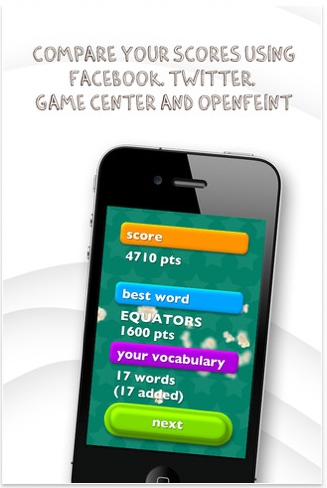 The free version does have banner ads at the top, but that's as obnoxious as it gets. 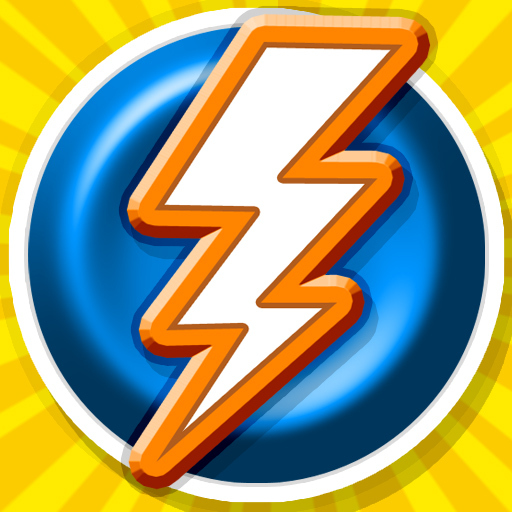 A paid version is available as an in-app purchase, if you'd like to send the buck.